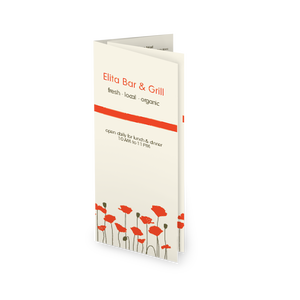 Orange and red poppies bloom at the bottom of this cafe bistro menu presented on a long sheet. An orange bar illustrates the top of the menu and the food offering are listed below in two columns. 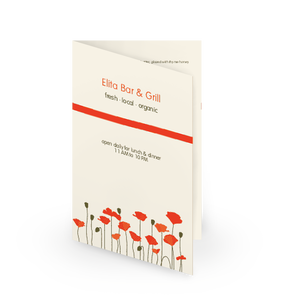 This simple, pretty menu has a springtime feel on a 8.5 x 14 page. 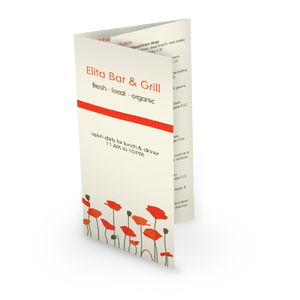 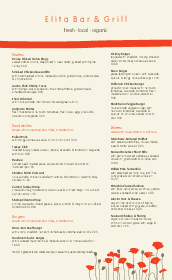 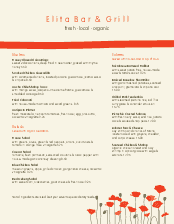 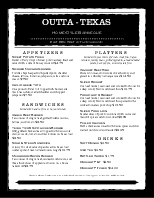 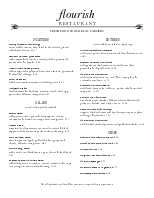 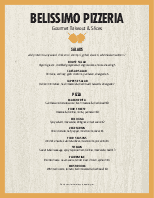 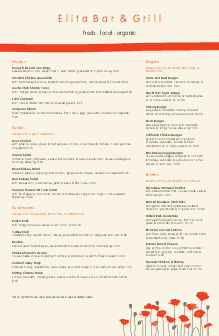 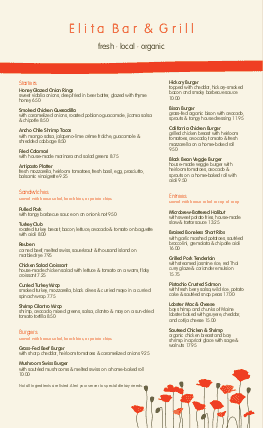 Update this cafe menu online using the Menu Editor, our restaurant menu software.